The entrance of the ancient city of Amathus in Limassol will host the 5th International Euro-Mediterranean Conference (EuroMed 2014), which is dedicated this year to the protection, preservation and e-documentation of the Cultural Heritage. From 3rd to 8th of November 2014, policy makers, professionals, students and representatives of the cultural institutions from more than 60 countries of the world will have the opportunity to come together to exchange know-how and experiences in the use of cutting edge technologies for the protection, preservation, conservation, massive digitalisation and visualization/presentation of the Cultural Heritage content, as well as the current and future worldwide developments in this area. At the same time, the event is intended to cover topics of research ready for exploitation, demonstrating the acceptability of new sustainable approaches and new technologies by the user community, SME’s, owners, managers and conservators of cultural patrimony. PREFORMA will participate in the conference with a presentation of its objectives and expected outcomes, focusing in particular on the benefits that the project can bring to the cultural institutions. 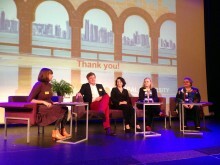 The presentation is included in the programme of the workshop “The Digitization Age: Mass Culture is Quality Culture. Challenges for Cultural Heritage and Society“, organised by Promoter Srl in the afternoon of November 3rd, which will bring together EU projects, organizations and professional to disseminate the latest achievements and to foster collaboration among different initiatives operating in the digital cultural heritage sector. The paper that has been submitted presents PREFORMA as one of the most important projects currently active in the digital cultural heritage domain. Download here the programme of the workshop. For further information on the event visit this article and the Conference website. The video clips of all the presentations of the PREFORMA Open Source Workshop are now available on the event website. 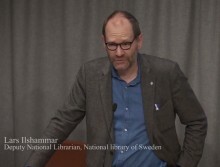 The workshop, hosted by the National Library of Sweden on April 7, 2016, featured keynote presentations by representatives from the PREFORMA project and the open source community.